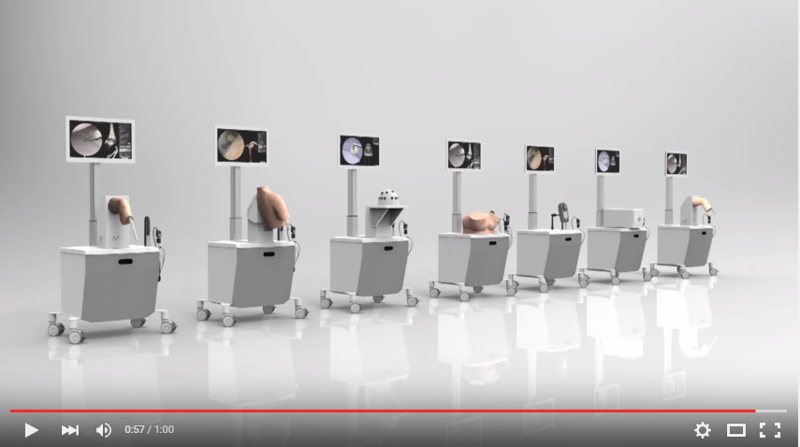 Your goal: shorter learning curves and seamless transfer of skills to the operating room. Virtual reality simulators are available 24/7 and accelerate the time needed to gain competency. Original instruments provide a complete training experience and optimally prepare users for the real procedure. Choose a VirtaMed medical simulator, the most realistic virtual reality simulation currently available on the market. Bring a real competitive edge to your hospital or training center! Meet the VirtaMed ArthroS™ knee, shoulder, hip, and ankle simulator for basic and advanced arthroscopic skill training using original arthroscope, camera and other surgical instruments from the operating room. VirtaMed GynoS™ provides life-like gynecology training at no risk to live patients. It is the most realistic virtual-reality simulator for uterine sounding, IUD insertion, embryo transfer, and hysteroscopy. Learn more about the VirtaMed UroS™, which offers surgical training in urology, specifically operative TURP, TURB, morcellation, and laser BPH procedures. Would you like to learn more about our variety of training simulators?